The Darkest Minds is a mess. 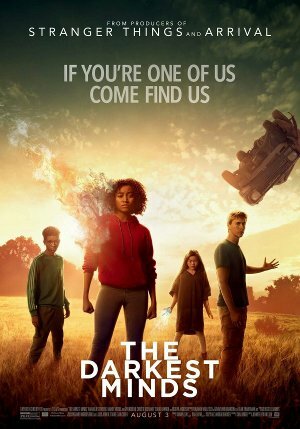 It's as if someone took an entire season of a Freeform sci-fi series made for a tweenage fanbase and condensed it into a single two-hour film. Based on the story structure and pacing you can tell immediately that the movie was adapted from a novel. Drawn-out events are presented in meandering fashion as we follow Ruby (played in early scenes by Lidya Jewett and later by Amandla Stenberg) through a troubling adolescence when she becomes mutated by a virus that leaves 98% of the world's children dead and the remainder gifted with poorly explained powers. After being taken from her family by the Federal Government and thrown into a concentration camp for mutants, Ruby eventually escapes through the help of a social worker (hey, Mandy Moore is still working) who exists only as an agent to further the plot and lead Ruby to other kids like herself (Harris Dickinson, Skylan Brooks, and Miya Cech) hunting for a mythical camp of lost boys living outside the system. Yeah... because societies put together by kids (with super-powers no less) are sure to be super stable. After reading a book to us for nearly two hours, director Jennifer Yuh Nelson doesn't even bother to conclude its events. I guess at this point it's assumed any young adult franchise will automatically get a sequel (whether it earns one our not). The movie doesn't so much conclude as stop at the end of one of its chapters leaving major plot points unexplored (just who are Moore and her group of rebels, what are the fates of several of these characters, and what happens after an important sporting character's true motivations are exposed?). What's disappointing about this poor-man's X-Men story is that there is enough here that it could have worked on television as a mini-series or even a shortened Netflix series. Stenberg is the film' biggest strength, and she does shine as the troubled teenage protagonist. However, neither the writing nor direction do the story any favors. 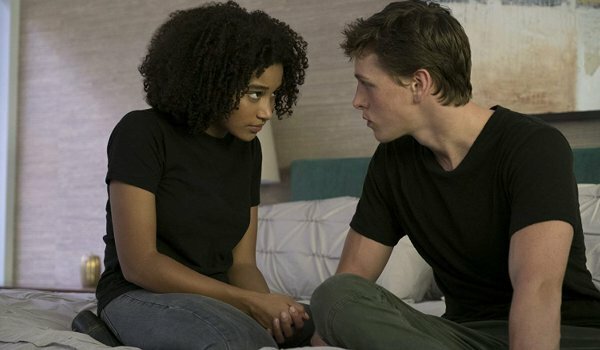 The Darkest Minds fails at even the most basic task of rewarding the audience who is patient enough to sit through the entire film by refusing to offer any payoff whatsoever.